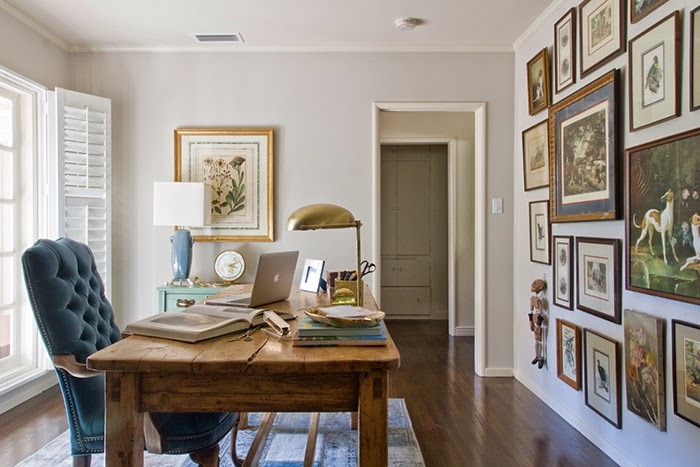 I love this home office that Emily Henderson did for a client! Emily has such a unique eye for design and styling spaces. It's no wonder that she became an HGTV Star! I found this particular room design intriguing since it's a departure from her usual mid-century aesthetic. 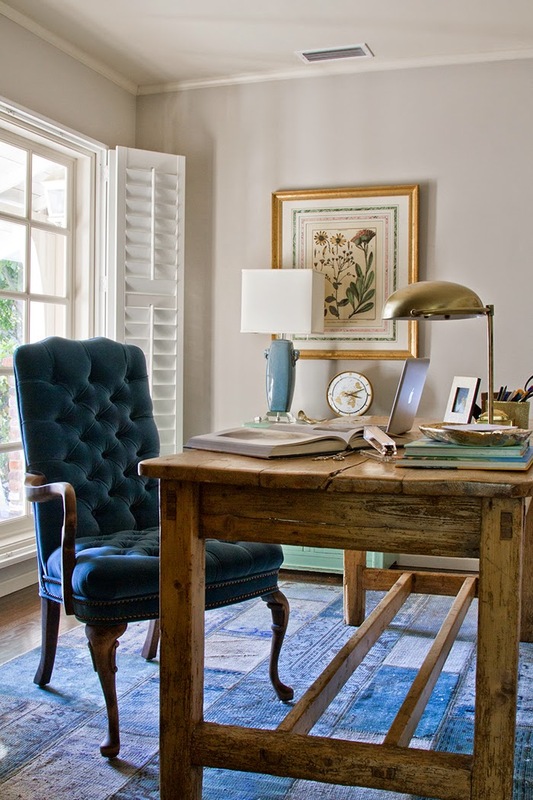 It has more of a traditional/rustic feel, with the large farmhouse desk table and deeply tufted desk chair. Speaking of the chair, I love how she used a vibrant blue hue on the upholstery. It gives the traditional chair a more modern appeal. 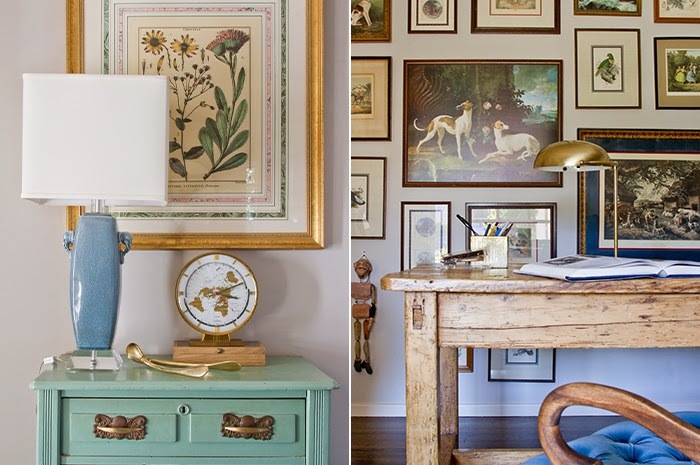 The room also has a collected feel, and is full of vintage pieces. In fact, almost everything in the room were vintage finds! The collection of artwork was also arranged to make a beautiful focal wall. I love how the room's color scheme ties into the colors in the artwork. You can read more about the room design here. Don't forget, our special promotion on e-design services expires on August 30, 2014. Have a great weekend, everyone!